DGC1104 - AVTECH HD TVI 1080p 2MP IR Outdoor/Indoor f3.6mm lens mini Turret Camera. IR effective range up to 25 meters (75 feet). 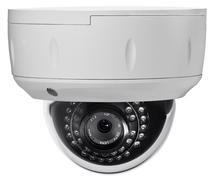 DGC1306 - AVTECH HD TVI 1080p 2MP IR Outdoor/Indoor Motorized Zoom lens f2.8mm - f8mm Bullet Camera. IR effective range up to 50 meters (150 feet). 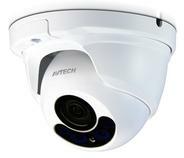 DGC1304 - AVTECH HD TVI 1080p 2MP IR Outdoor/Indoor Motorized Zoom lens f2.8mm - f8mm Turret Camera. IR effective range up to 50 meters (150 feet). CPC100-ARDF - CPCAM 4-in-1 HD TVI 1080p 2.1MP IR Outdor/Indoor f3.6mm Fixed lens Turret Camera with Digital Zoom. IR effective up to 20 meters (60 feet). CPC101DF-2.8 - CPCAM HD TVI 1080p 2.1MP IR Outdoor/Indoor f2.8mm Turret Camera with digital zoom. IR effective range up to 20 meters (60 feet). 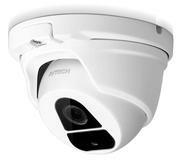 CPC101DV-1 - CPCAM HD TVI 1080p 2.1MP IR Outdoor/Indoor Varifocal f2.8mm - 12 mm Turret Camera with Digital Zoom. IR effective range up to 20 meters (60 feet). 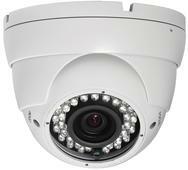 CPC102DV-1 - CPCAM HD TVI 1080p 2.1MP IR Outdoor/Indoor Vandal-proof Varifocal Dome Camera with Digital Zoom. IR effective range 20 meters (60 feet). 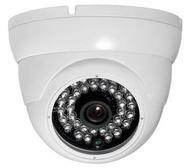 CPC201BV-M-1 - CPCAM HD TVI 1080p 2.1MP IR Outdoor/Indoor Motorized Zoom lens f2.8mm-f12mm Bullet Camera. IR effective range 30-40 meters (90-120 feet). CPC102DV-M-1 - CPCAM HD TVI 1080p 2.1MP Outdoor/Indoor Motorized Zoom lens f2.8mm - f12mm Vandal-proof Varifocal Dome Camera. IR effective range 30 meters (90 feet).